Alaskans concerned about possible impacts of British Columbia mines on cross-border rivers will get an update during a June 1 meeting in Juneau. Lt. Gov. Byron Mallott will host the third annual transboundary mining meeting. Mallott aide Albert Kookesh said officials from the federal, state and British Columbia governments will attend. So will tribal, industrial, environmental, fisheries and other leaders. Kookesh said this year’s meeting will allow more time for discussion than previous gatherings. “This is a chance for stakeholders, people who are interested in those types of transboundary issues, to come and talk to the powers that be, if you want to say it that way,” Kookesh said. Much has changed since the previous meeting. More mineral-exploration companies have announced discoveries of gold-bearing ore. A new coalition has taken control of British Columbia’s provincial government. And the U.S. State Department has become involved in the controversy. Kookesh, a former Alaska lawmaker, said the State Department’s presence is new. He said officials will discuss results of a gap analysis. 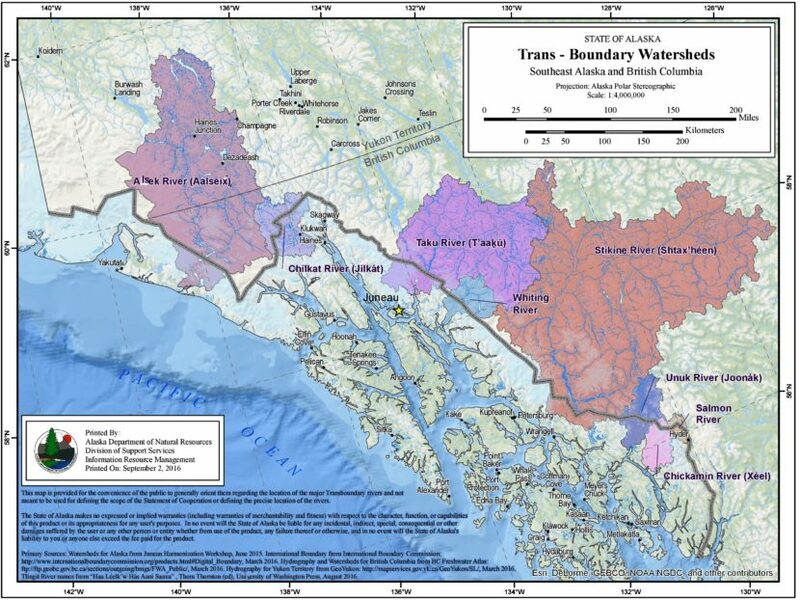 “Essentially, that means, where are those areas that aren’t being really actively covered now by the transboundary groups in Alaska and Canada? And there’s a gap analysis being done by the State Department that says, ‘Here’s where we think there are areas of concern that we have to follow up on,’” Kookesh said. Two mines on transboundary rivers, the Red Chris and Brucejack, are producing and processing ore. And other exploration projects, including the Kerr-Sulphurets-Mitchell or KSM project, have accumulated necessary permits and are seeking investors. Tribal and government groups are already sampling water from rivers with watersheds including mine and exploration sites. Concerns focus on possible pollution that could damage salmon and other wild fish runs. The meeting will be from 10:30 a.m. to 3:30 p.m. June 1 at the Vocational Training and Resource Center on Hospital Drive in Juneau. It’s open to the public, but will not be teleconferenced.